Mika. Photo by Eric Behrens, 2001. He looked at me and said, “Mika is sick.” And with this statement, I suddenly recognized him and his little girl. 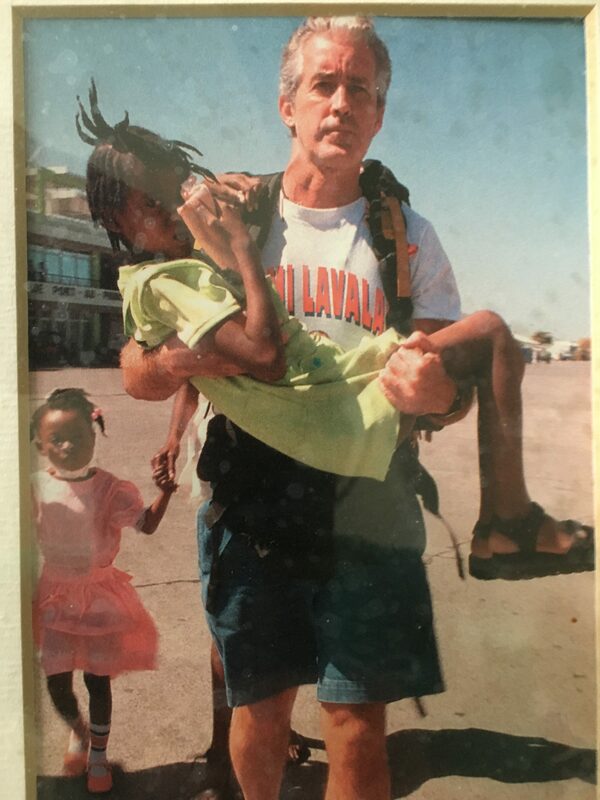 In the late 90’s, I had first examined Mika in a little hospital in the mountains of southern Haiti. Her father had brought her to me then too. She had a leaky mitral valve and after several months of paperwork, I brought her to Peoria for heart surgery. She had her mitral valve repaired and, after she recovered, I returned her to her family on Haiti’s southern coast. The effective practice of medicine requires narrative competence, that is, the ability to acknowledge, absorb, interpret, and act on the stories and plights of others. Medicine practiced with narrative competence, called narrative medicine, is proposed as a model for humane and effective medical practice. With narrative competence, physicians can reach and join their patients in illness, recognize their own personal journeys through medicine, acknowledge kinship with and duties toward other health care professionals, and inaugurate consequential discourse with the public about health care. By bridging the divides that separate physicians from patients, themselves, colleagues, and society, narrative medicine offers fresh opportunities for respectful, empathic, and nourishing medical care. Along with scientific ability, physicians need the ability to listen to the narratives of the patient, grasp and honor their meanings, and be moved to act on the patient’s behalf. This is narrative competence, that is, the competence that human beings use to absorb, interpret, and respond to stories. … narrative competence enables the physician to practice medicine with empathy, reflection, professionalism, and trustworthiness. Such a medicine can be called narrative medicine. Her host family arranged for Mika to have a local funeral. Hundreds of people who got to know Mika and cared for her over the last several years attended her funeral. I didn’t go. I didn’t go.